The Powerslide X frame is a light weight but rigid frame. Supreme choice for testing wether you are a 4 or 3-wheel rider. 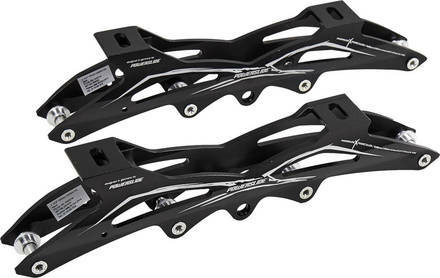 The 9.5'' frame takes either 4 x 80mm or 3 x 90mm wheels. The 10.25'' frame takes either 4 x 84mm or 3 x 100mm wheels. The 10.8'' frame takes either 4 x 90mm or 3 x 100mm wheels.